With Spring upon us, I have been remiss for the past several weeks in posting much so excuse the following recap of my culinary adventures. 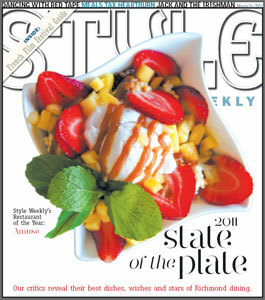 I have had several articles in Style Weekly recently, including the 2011 State of the Plate where we gave a nod to Amuse as Restaurant of the Year, but also recognized several other favorites, including Pescado's China Street, The Black Sheep, Acacia, Lamplighter, and more. It's a challenging issue for many reasons, not least of which is a burgeoning restaurant scene in Richmond. In this week's Style Weekly, I write about Cafe Ole's venture into Carytown, where Betsy Harrell Thomas offers a healthy alternative to our fast-food nation. 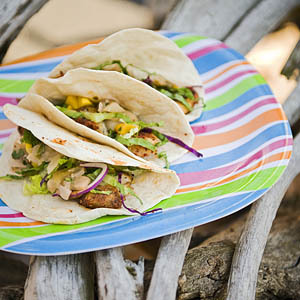 With fish tacos that are some of the best in town, and a host of other fresh and simple Cal-Mex treats, they are well on their way to becoming a Carytown fixture. I also have an article in the current issue of Flavor Magazine profiling Julep's bartender extraordinaire, Bobby Kruger. You can find a copy at most Martins supermarkets as well as Barnes and Noble. Speaking of Flavor, I was their guest at a recent wine dinner at Acacia Midtown. 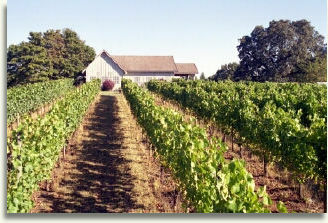 The evening celebrated the wonderful wines of Cameron Winery in Dundee, Oregon. Hosted by Rob Crittenden of Roanoke Valley Wine Company, Cameron's winemaker John Paul, with an Einstein like presence, entertained the group with fascinating stories of his journey from Marine Biologist to winemaker, adventures with vine clones, Burgundy producers and ﻿the down and dirty of the business. One of the funniest stories was around how they named their vineyard Clos Electrique. The word clos is French for "enclosure." As one can imagine. a drive through the French winecountry takes you past vineyards enclosed by rustic stone walls. When they lamented their lack of stone walls and the presence of "electric fences," the name Clos Electrique seemed a good fit. Stories aside, Aline and Dale Reitzer were gracious hosts; Aline runs one of the best "front of the houses" in Richmond, and Dale's culinary prowess needs no introduction and little embellishment. The soup was sublime- chunks of crab meat floated in a simple dashi broth- the real surprise was the sea urchin custard lining the bottom of the bowl- creamy essence of the sea in every bite. Desserts included an assortment of petit-fours, including a particluary interesting rose water meringue.